Bespoke Construction are looking to bolster their ranks with the addition of a Business Development Manager. 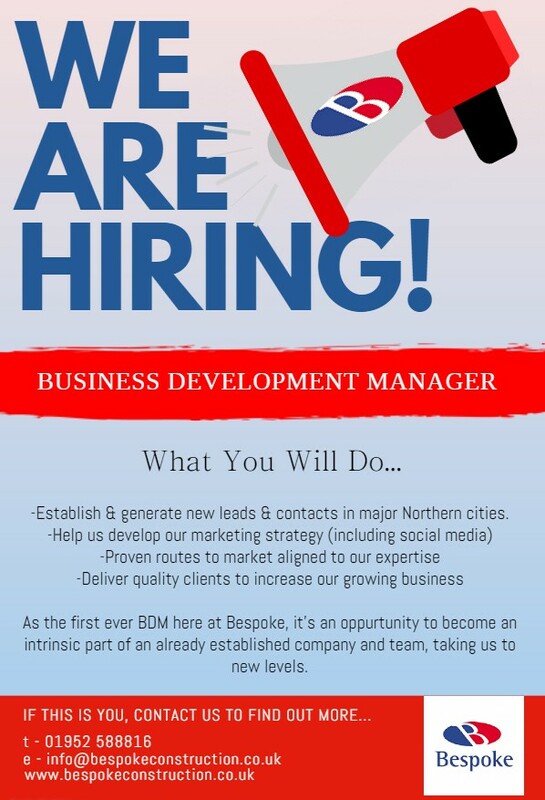 As the first ever BDM here at Bespoke, it's an opportunity to become an intrinsic part of an already established company and team, taking us to new levels. Establish & generate new leads and contacts in major Northern cities such as Birmingham, Manchester, Nottingham & Sheffield. Have proven routes to the market, aligned to our expertise. Deliver quality clients to increase our growing business. Interested? Please get in touch and send your CV to info@bespokeconstruction.co.uk.